Mild cleansing lotion. 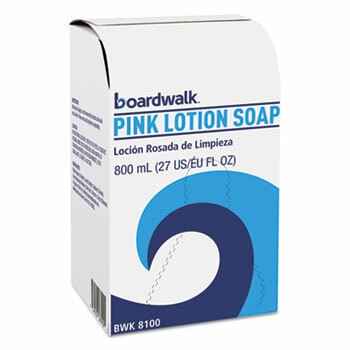 An economical alternative to expensive bar and lotion soaps and ineffective abrasive powders. Cleans thoroughly. Produces abundant lather in hard or soft water. 800 ml boxed refills 12 per case.